Angry municipal protesters have hit the Executive Mayor for the Baviaans Municipality in the Cacadu District of the Eastern Cape with a knobkierie. The victim, Ewald Loock was attacked on Friday in Willowmore when workers forcefully gained entrance into his office. Narrating the incident Lock said a group of rowdy, striking workers accompanied by members of their family forced their way into the mayor’s office and destroyed property. “I tried to address them and prevent them from attacking my staff. One of the strikers held up my hand and I was hit with a knobkierie on the head. I passed out,” he said. As a result of the injury, Loock received six stitches at the local clinic and subsequently went to Oudtshoorn hospital. Continuing Loock said: “This is shocking because it happened in broad daylight. The suspect was arrested. “Workers are angry because of the no work no-pay system. They know that payday is this week, and they will obviously get no pay,” he added. Commenting on the incident, Milton Myola of South African Municipal Workers’ Union attributed the attack to criminals saying, “We do not have criminals in our workforce”. According to police, workers have been protesting in the area since this week. Speaking, Baviaans Constituency leader and MP, Dr. Malcolm Figg, said that the Democratic Alliance has expressed sadness over the “vicious and ugly assault” of Mayor Ewald Loock who was allegedly hit by striking workers. “This thuggery must be stopped. The local Willowmore police have failed to act and ensure that the striking workers do not damage municipal property and assault employees in keeping with a court order. The police cannot stand idly by while violent assault and damage to property are the order of the day,” said Figg. Following the ugly incidence, Baviaans Constituency leader Figg stated that MP Marshall von Buchenroder has reported to the South Africa Police Service at a provincial level and that a Public Order Policing Unit (POPS) is expected to be deployed to Willlowore. Figg, however, asserted that police should not wait till blood flows before coming on rescue missions. “This should have happened long ago. Why does it take blood to flow for the police to act?” asked Figg. Workers affiliated with the South African Municipal Workers’ Union (Samwu) in Willowmore had earlier demanded better working conditions, protective clothing, and a salary raise before their municipality merges with the Ikwezi (Jansenville) and Camdeboo (Graaff-Reinet) municipalities. Also, people who had been casual workers for years wanted to be employed full time with full benefits because they felt they were being exploited as contract workers. However, the demands of the workers were not given priority, according to Samwu provincial secretary, Milton Myola. Consequently, they decided to embark on a strike in January. Many have insinuated that the current protest is beyond the Baviaans Municipality. As the support of Sarah Baartman District Municipality and the Department of Cooperative Governance is greatly needed. 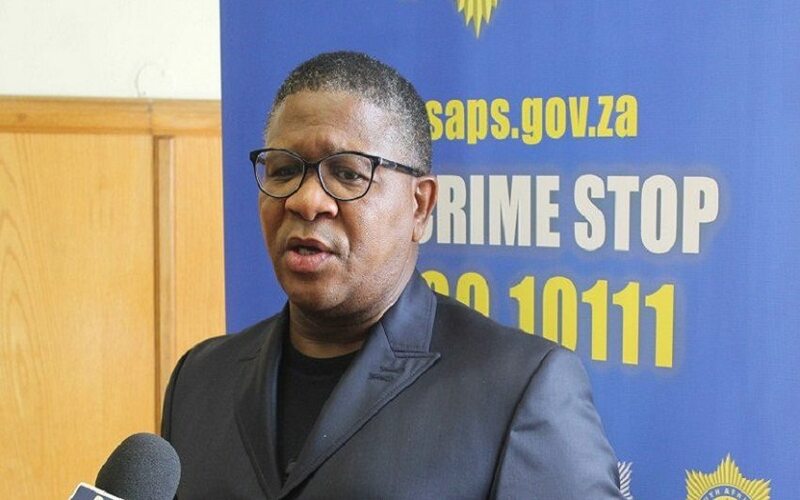 However, the provincial police spokesperson, Major Ernest Sigobe, said that POPS from Port Elizabeth have been deployed to the area. And that, although the protest is still in progress, the police have been working to ensure that the situation does not get out of hand. The provincial police spokesperson said police were investigating a case of public violence, malicious damage to property and assault. Meanwhile, Baviaans Samwu leader, Gerhard Davids, has said that until the issues raised had been addressed, the strike would not come to an end. South Africa has continued to experience persistent protests from different municipalities. On Thursday, Limpopo Premier Stan Mathabatha, who visited the Mookogopong stadium to address the residents was locked up in the township local stadium by community residents. Mathabatha and his entourage were slated to hold a meeting with residents of Mookgopong so that he could listen to community demands. But protestors bluntly refused to allow the meeting to commence until police had been cleared from the venue. This was consequent upon the alleged killing of a local resident, Ben Matlou, authorities who were accused of failing to arrest the suspect who killed Matlou. Until the police left, all efforts made by Mathabatha to address the protesters were futile as anger over the killing of Matlou, continued to simmer.